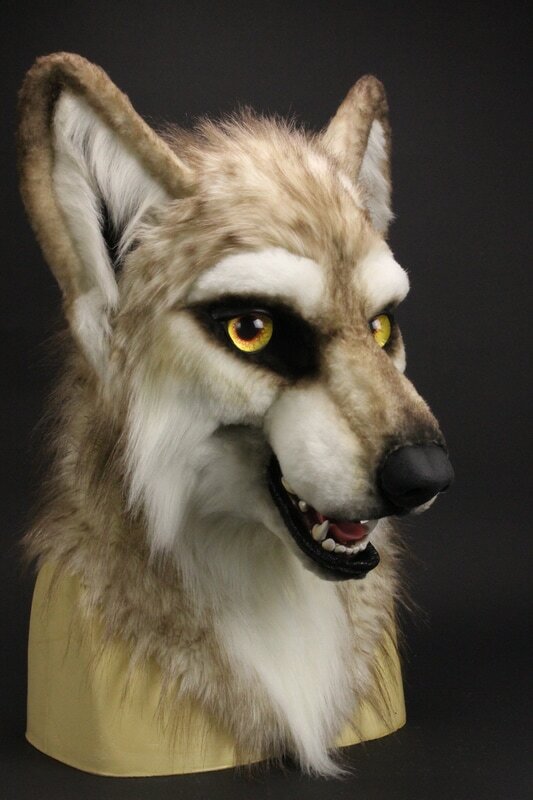 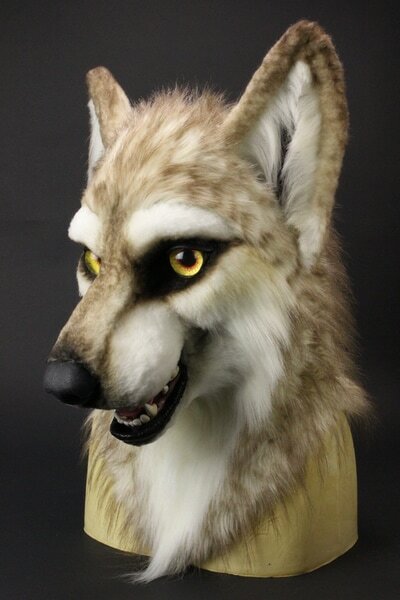 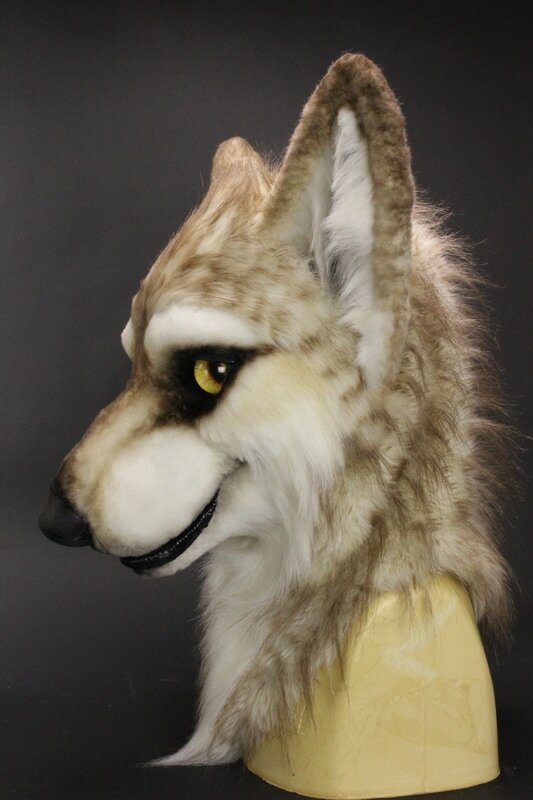 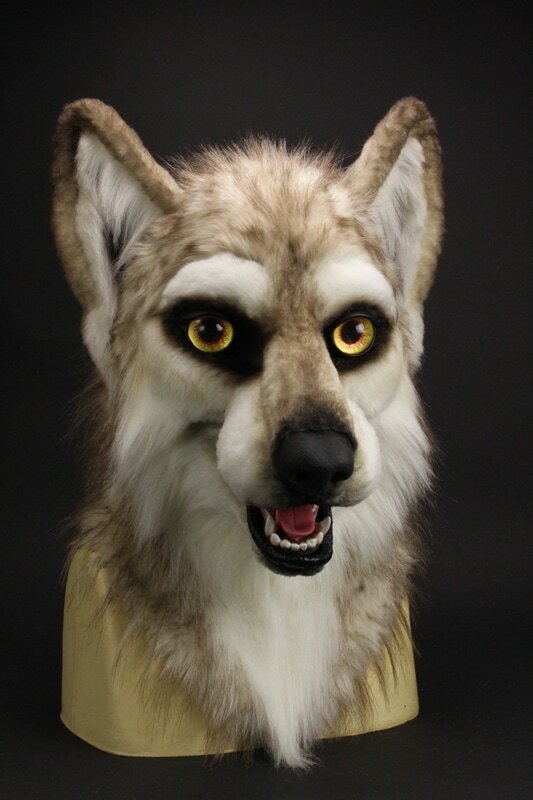 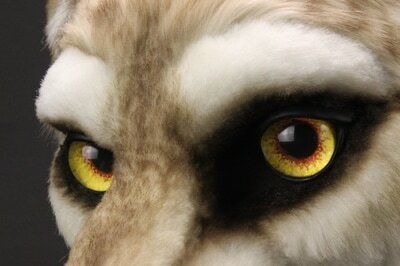 Meet "Maxine", our second furry mask. Click on images below for larger views. 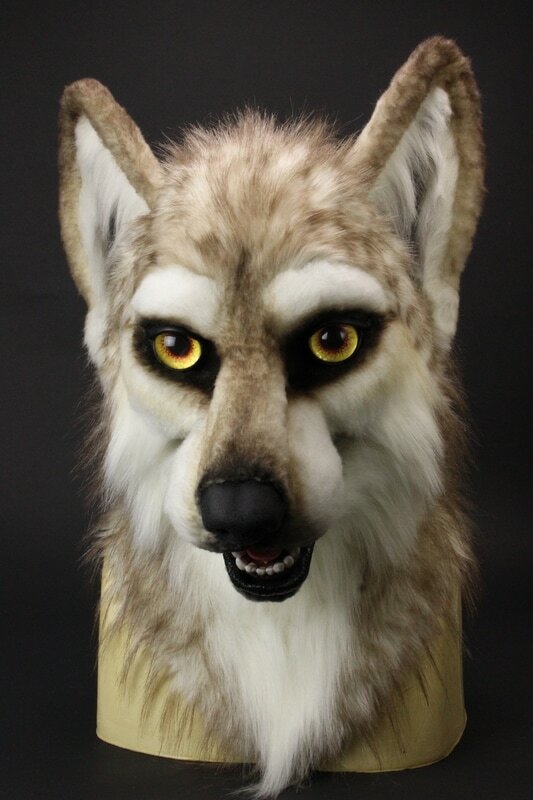 Maxine was built by Sans Souci Studios using a Sans Souci Studios resin base, and Dream Vision Creations nose, tongue, teeth and eyes, the latter two being handpainted by ourselves. 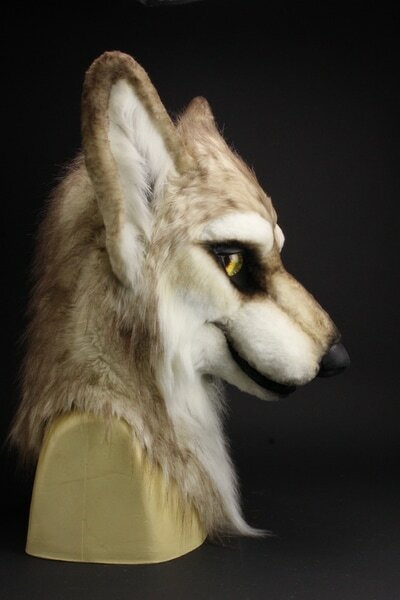 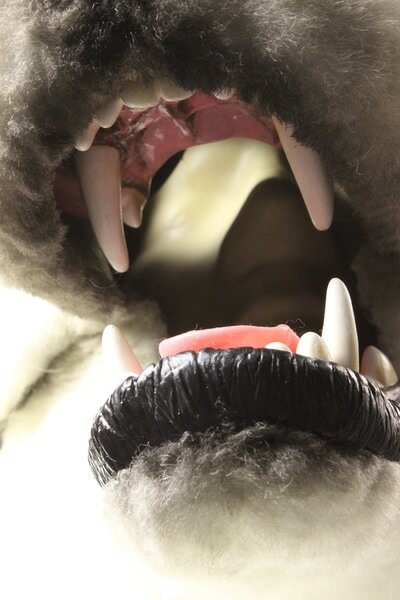 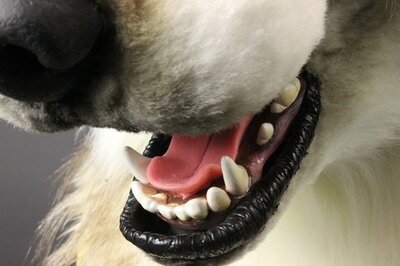 Visit our blog to read more about our adventures building this mask.